We have heard all the hoopla about Apple’s new watch and we can just see a whole lot of features provided in the new watch. It has one big change and that is, it supports cellular network. We have heard rumours of it being independent of iPhone and the rumours were right. This means you can make calls right away without even depending on your iPhone. The watches will be available for a price of $329 without the built in cellular connectivity and $399 with the cellular connectivity. However we will obviously prefer the later. There isn’t much change in the look and feel of the new Apple Watch, but it’s new feature is an added bonus. 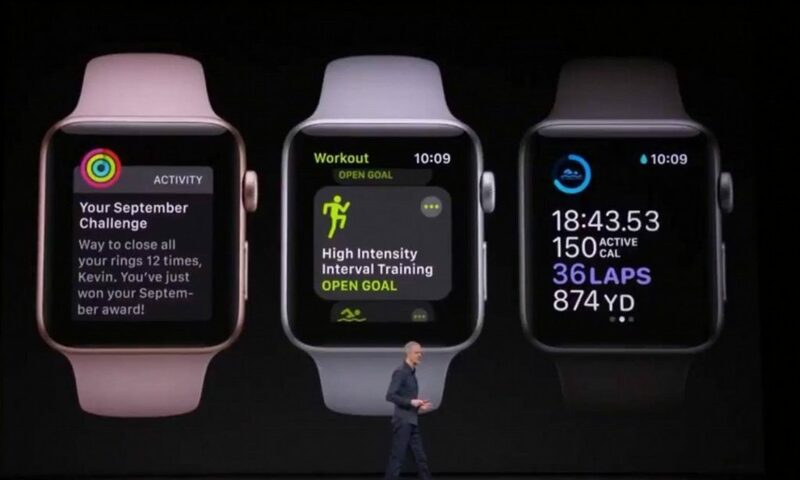 Though the Watch will be connected to your same phone number you will be using on iPhone, so that it will be able to receive texts on both the devices without losing any data. Now let’s talk about the various funky and chic colors the new Apple Watch will be available in. Blush Gold, an amazing new Ceramic Gray and the regular White color. The cellular version will differ slightly from the non-cellular version as it will have a red crown from an appealing look. Another exception is the heart rate feature of the Apple Watch. The Apple watch has improved their App for heart rate which will show and notify every bit related to heart rate. Including irregular and elevated heart rate. Now we just can’t wait to get a hand on it. Though this new Apple Watch is not available in many countries currently, but it will soon be available.